January 13th, 2015, the National Oceanic and Atmospheric Administration‘s (NOAA) National Marine Fishery Service (NMFS) officially began soliciting public input as they consider developing a section 4(d) rule for the 20 species of coral recently listed under the Endangered Species Act (ESA). “Advanced Notice of Proposed Rulemaking and Request for Information for the Issuance of Protective Regulations Under Section 4(d) of the Endangered Species Act for the Conservation of Threatened Corals” appeared 13 January 2015 in the Federal Register and is an advanced notice of proposed rulemaking that could limit activity related to the listed species. In late August, NMFS announced a final rule listing 20 species of coral as threatened under the ESA, and the final rule was officially published on 10 September. The primary threats to the listed species were identified by NMFS as ocean warming, disease, and ocean acidification. Other threats, including collection and trade, were identified as medium to low threats. Unlike the U.S. Fish and Wildlife Service (USFWS), NMFS does not presumptively apply prohibitions outlined in ESA Section 9 to species listed as “threatened” under the ESA. As such, even though several aquarium coral species were listed as threatened in the final rule, trade and other commercial activity related to those species was not immediately affected. threatened species of fish or wildlife listed pursuant to section 1533 of this title and promulgated by the Secretary pursuant to authority provided by this chapter. In today’s publication, NMFS acknowledges that only some of the recently listed coral species occur in waters under U.S. jurisdiction but that others are commonly imported into the U.S. for the marine aquarium trade. “One of the section 9(a)(1) prohibitions that may be applied pursuant to section 4(d),” NMFS states, “is the prohibition on the take of species on the high seas. We are therefore requesting information for all 20 newly listed threatened species, wherever they may occur, to help inform our determination of which take prohibitions may be necessary and advisable for their conservation.” Prohibitions could also affect cultured corals in addition to those harvested in the wild. 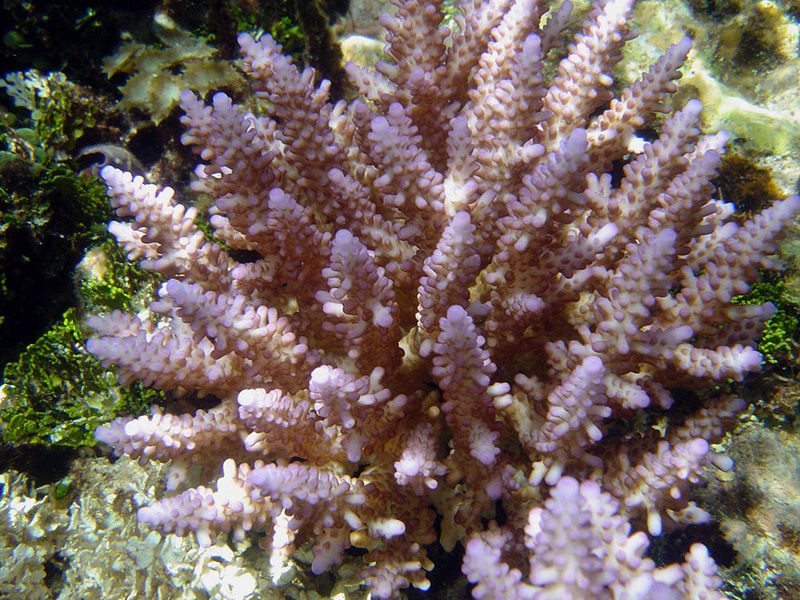 efficacy of ongoing conservation activities” related to the corals in question. In addition to public comment regarding prohibitions, NMFS is requesting comment concerning “specific activities that should be excepted from any prohibitions that may be applied because they either provide a conservation benefit or do not detract from the conservation of these species.” They are also interested in learning about the economic costs and benefits likely to result from any protective regulations and prohibitions resulting from 4(d) rulemaking. Those wishing to submit public comment have until 16 March 2015. Click the ‘‘Comment Now’’ icon, complete the required fields, and enter or attach your comments. Mail: To submit written comments regarding Indo-Pacific species, contact the Pacific Islands Region: Lance Smith, Protected Resources Division, National Marine Fisheries Service, Pacific Islands Regional Office, NOAA Inouye Regional Center, 1845 Wasp Blvd., Building 176, Honolulu, HI 96818. To submit written comments regarding the Caribbean species, contact the Southeast Region: Stephania Bolden, Protected Resources Division, National Marine Fisheries Service, Southeast Regional Office, 263 13th Avenue South, Saint Petersburg, FL 33701. I’m guessing someone forgot to “turn on” the comments? Not really sure at the moment. It appears that you can now comment on the appropriate document. I believe that much of this is spurned by misinformation and people on legislative panels that have a knee jerk reaction to what some environmentalists say without consulting the real experts. A friend of mine sent me the Julian Sprung talk from MACNA 2014 in Colorado this past week; and the 4 other people on the roundtable panel at the end of the talk had some surprising things to say about how biased and uninformed the listing process is for corals. The only way to work through this and have the trade and hobby left intact is to solidify the numbers that contact legislators. The marine aquatic part of the pet trade is a half billion dollar industry and for that kind of hit to the US Economy, not to mention all the advances we have made over the past decade let alone since the hobby began would lose any forward momentum. The legislation of this issues in my opinion is just as reckless as some of the collectors in areas using cyanide to collect fish. So instead of recklessly passing legislation, a combined effort to address the causes of decline by government and trade as well as re-poplation efforts from privately aquacultured stock is essential not just for the hobby but for the planet. Also- with that said, studies need to be done establishing the basis that some things may just naturally become extinct and others are being influenced by man- and as Ray Baker points out in his last sentence in his reply “Lets look at first those things that are destroying reefs and oceans.” is and should be the first step. I believe that much of this is spurned by misinformation and people on legislative panels that have a knee jerk reaction to what some environmentalists say without consulting the real experts. A friend of mine sent me the Julian Sprung talk from MACNA 2014 in Colorado this past week; and the 4 other people on the roundtable panel at the end of the talk had some surprising things to say about how biased and uninformed the listing process is for corals. The only way to work through this and have the trade and hobby left intact is to solidify the numbers that contact legislators. The marine aquatic part of the pet trade is a half billion dollar industry and for that kind of hit to the US Economy, not to mention all the advances we have made over the past decade let alone since the hobby began would lose any forward momentum. The legislation of this issues in my opinion is just as reckless as some of the collectors in areas using cyanide to collect fish. So instead of recklessly passing legislation, a combined effort to address the causes of decline by government and trade as well as re-poplation efforts from privately aquacultured stock is essential not just for the hobby but for the planet. Also- with that said, studies need to be done establishing the basis that some things may just naturally become extinct and others are being influenced by man- and as Ray Baker points out in his last sentence in his reply "Lets look at first those things that are destroying reefs and oceans." is and should be the first step. You are correct, it doesn't at this time. I did a little digging and indeed, it is the correct URL (link) as outlined here - http://www.regulations.gov/#!documentDetail;D=NOAA_FRDOC_0001-3274 I'm guessing someone forgot to "turn on" the comments? Not really sure at the moment.